The late nights have begun in my office. I'm putting the last touches on my bills this evening. 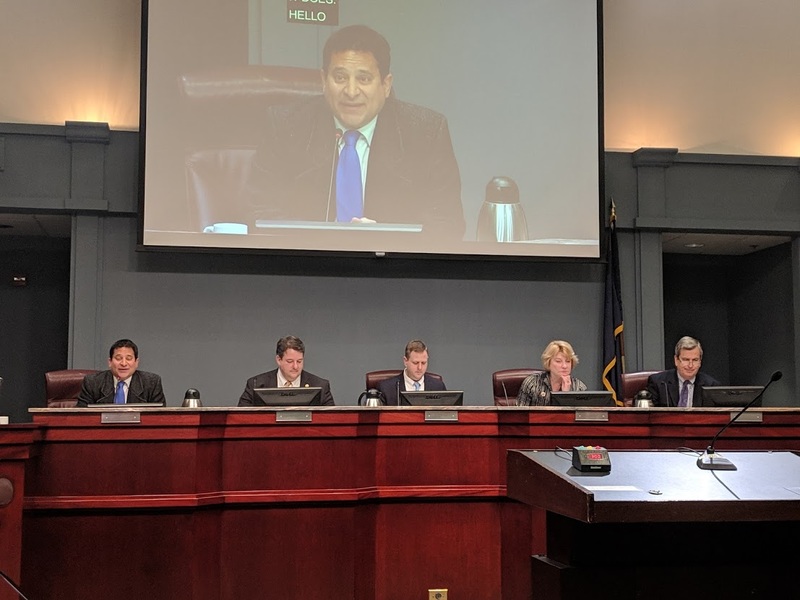 Yesterday, I arrived in Richmond for the 2019 legislative session. 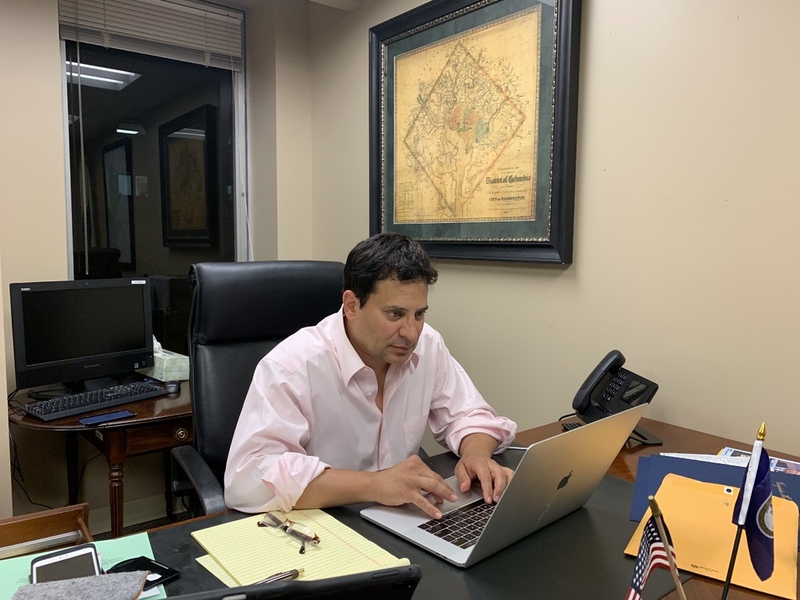 I'm working tonight putting the last touches on my bills that I plan to introduce before the session begins tomorrow at noon. When we are called into session tomorrow, it will mark the 400th anniversary of the first representative assembly in the New World. Virginia has come a long, long way since 1619. The Virginia House of Delegates -- then called the House of Burgesses -- was already 150 years old when George Washington, Thomas Jefferson, and James Madison served there. I have to pinch myself to remind myself that I work in a Capitol designed by Thomas Jefferson, where the Founding Fathers debated whether or not to form a more perfect union. A century later, Virginia seceded from the United States to protect the odious institution of slavery. And the Confederate States of America then met in this same Capitol building. A few years later, with Union troops in Virginia, the Reconstruction House of Delegates met in the late 1860's and began a Constitution that let all Virginians vote. A half century after that, Jim Crow laws and a new Virginia Constitution had completely upended this brief progressive interlude in Virginia history. We Can Begin a New Progressive Era in Virginia. In the 150 years since Reconstruction, Virginia has never had a progressive majority in the Legislature. Indeed, one could well argue that in our 400 years of history, Virginia has never had a significant progressive trifecta with a Governor and a majority of the House of Delegates and Senate. But with your help, this can finally change in November. In November 2019, for the first time in 400 years, we have a realistic chance to create a Commonwealth where every single person can live up to their potential and be treated fairly with dignity and respect under the law. I am excited about what this session and year will hold for all of us. This Sunday -- in what will become weekly newsletters all during session -- I will share the legislation I am introducing this year. My 2019 legislative slate will, as always, be focused on protecting the most vulnerable among us. And of course, I will be introducing my comprehensive anti-discrimination legislation to make sure that people aren't discriminated against because of their sexual orientation or gender identity. Click the photo below to view my two-minute announcement of this legislation at Monday's press conference with Equality Virginia. legislation banning discrimination against people for their gender identity or sexual orientation. Click the photo above to watch the video of my announcement. Many of the bills I am introducing this year were inspired by ideas brought to me by constituents. It's such a privilege to work to put your opinions, concerns, and priorities into legislation. If you want me to vote a certain way this year, tell me! On the left-hand column of this email, you can find the contact information for my Richmond office. Do not hesitate to reach out and make your voice heard. 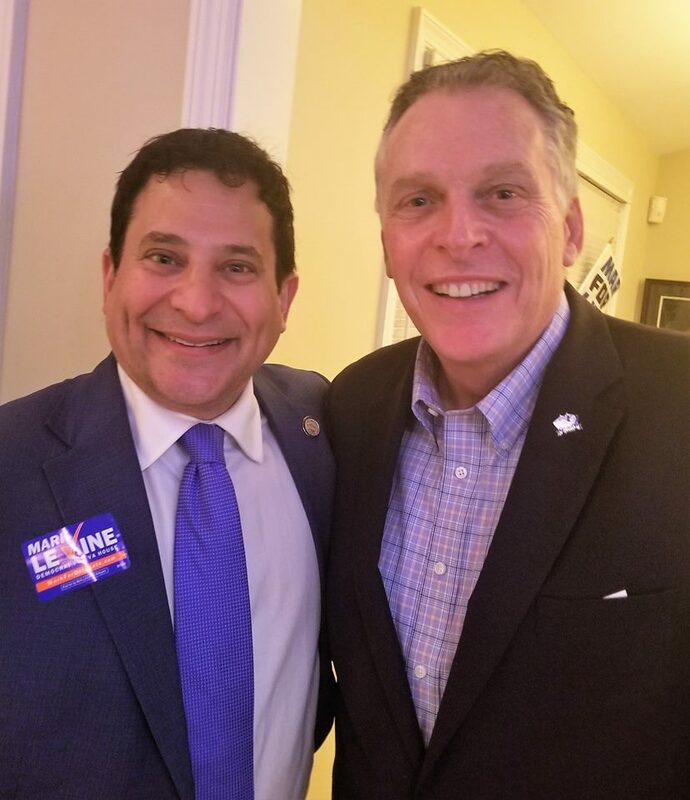 This past Sunday, I was honored to have a houseful of supporters join former Governor Terry McAuliffe and me at Jack Taylor's home in Alexandria to show support for my re-election and for winning a Democratic majority in the Virginia House of Delegates in 2019. Governor McAuliffe talked about the importance of the 2019 elections and his appreciation for my work blocking numerous pieces of bad legislation from sailing through the legislature uncontested, and he spoke briefly about a certain election he may even be running in next year. Click the photo below to watch a clip of Governor McAuliffe's speech in support of me. 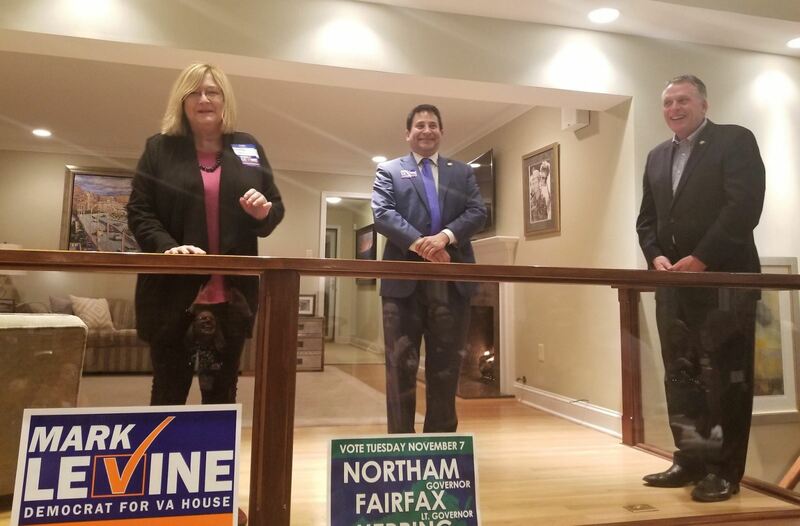 I want to thank Governor McAuliffe, Alexandria's Vice Mayor Elizabeth Bennett-Parker, Alexandria City Council members Amy Jackson and Del Pepper, and Alexandria School Board Member Chris Suarez for coming out in support. Click the photo below to watch a video of my speech, in which I go over my legislative agenda for the 2019 session. If you didn't get a chance to join us on Sunday night but still want to show your support for a progressive champion and House Democrats, you can still donate until 12pm on January 9. Once session starts, I will not be accepting donations until after session ends, as required by law. Now let's take back the House and restore the General Assembly to the people! I have signed on as a co-patron to HJ 579, a Virginia resolution to ratify the Equal Rights Amendment. We can be the 38th and final state necessary to ratify the Equal Rights Amendment and enshrine gender equality in the U.S. Constitution. But Speaker Cox needs to hear from you. Sign the petition today to help this petition get 20,000 signatures for delivery to the General Assembly this Wednesday, the first day of the 2019 legislative session. Help make the 45th District the greatest source of petition signers of any district in the state! Democratic stalwart Dorathea Peters gave a rousing introduction for me on Sunday night. and Alexandria Young Democrats Vice-President Elizabeth Williams and President Stephanie Schlea. 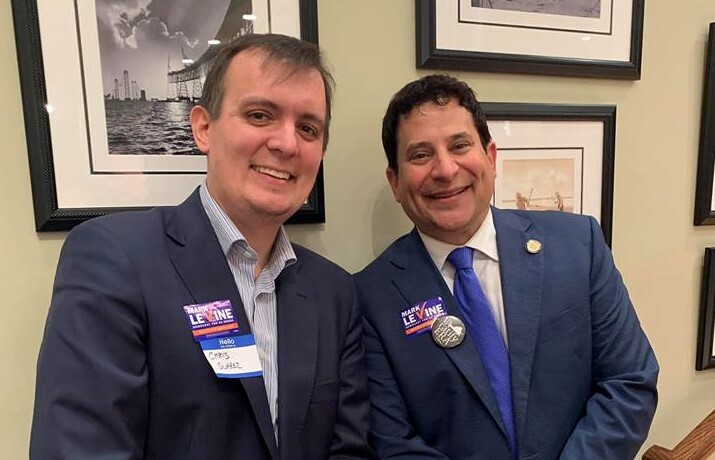 My new representative on the Alexandria School Board, Chris Suarez, joined us on Sunday night. 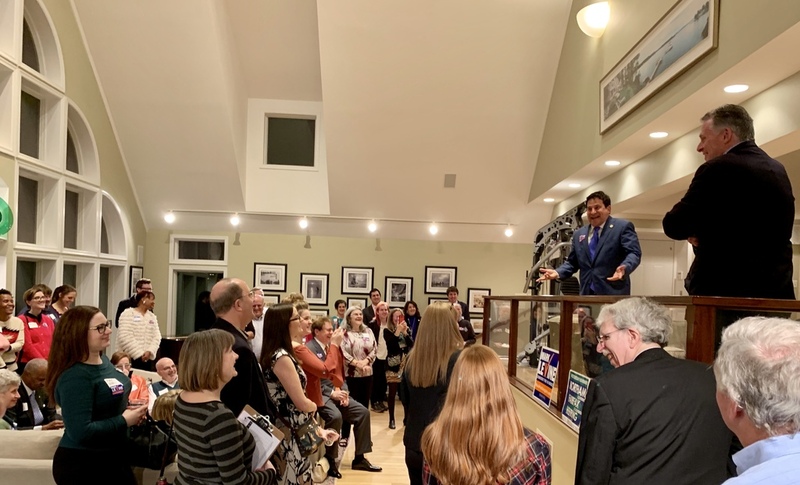 A great crowd showed their support for House Democrats on the night before I headed back to Richmond. Speaking at the Arlington public hearing with the rest of the Arlington Delegation.